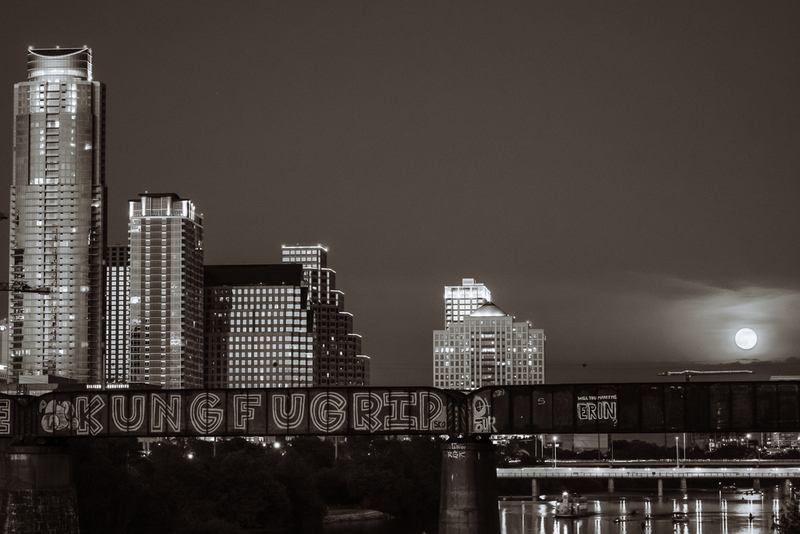 A super moon rose over Austin last weekend. It didn't look particularly super, at least not in size, from my vantage point with a relatively short telephoto lens. Still, the sunlight reflecting off the moon surface washed across the night sky and bathed downtown Austin with a surreal glow. Darkness prevailed but the persistent moonlight created a dramatic backlight that silhouetted the city and made for a very noir night.